With more than 15 years of experience, materials and successes, The Growth Coach is a trusted brand in the world of business coaching franchises with a track record business owners trust to produce results. Our proprietary materials eliminate more than a decade of trial and error, while our branding and marketing support provide you the foundation for growth in a potentially lucrative business. Whether it’s a business coaching franchise providing executive coaching or one-on-one consulting, it’s important to remember that, in each situation, the business’s growth is limited by the coach’s time. That’s not true with The Growth Coach, because our services are delivered in group sessions, which opens the door to serving more clients in less time and maximizing your revenues. 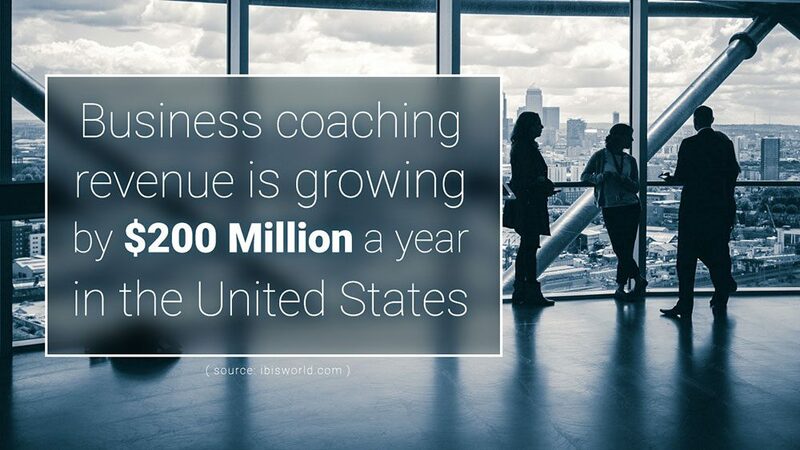 Here’s a brief look at the divisions of the business and sales coaching industry – and how The Growth Coach stacks up against the competition. Executive Coaches Executive coaching businesses focus on one-on-one coaching at the C-Suite level. Time is devoted to developing the executives of large corporations and revenues come from charging high, one-on-one fees. This structure is not a viable option for most small- and medium-sized businesses. One-on-One Coaching Like executive coaching, one-on-one coaching focuses on an individual within an organization and their role there. The coach spends much of their time in face-to-face sessions, providing guidance and advice to managers and team leaders to improve efficiencies. Because of the one-on-one model, the coach’s time is a limiting factor to growth, and the expense of this coaching model makes it cost-prohibitive for many small- and medium-sized businesses. Consulting Consultants run the gamut of services, including efficiency experts who focus on boosting worker and manager productivity, process streamlining, budgeting and finance. Many consultants charge high fees and provide many services that are only available to the largest organizations. Sales Coaching Sales coaches provide sales team members with cutting edge sales techniques, interpersonal communications skills, and advice on how to boost sales. These services can include examining sales materials and processes, customer experience, and a host of other sales-related activities. Sales coaching often focuses exclusively on a single aspect of sales, leaving by the wayside any aspects of personal improvement or work-life balance. Training and Development Teaching employees how to perform tasks is one of the key elements to a successful business. Training and development focuses on showing employees the best practices when it comes to executing their jobs and then following that with methods to allow for continual improvement. 2-day Developmental Sessions in Large Organizations Seminars provide a way for businesses to deliver new techniques or additional motivation in lieu of ongoing coaching or training and development. Conducting 2-day seminars is usually a one-sale-and-done model, and the consultant or coach usually must complete a new sale to generate additional revenue from that client. Lack of ongoing accountability produces fleeting results. Looking at these variations of the coaching and training industry, it’s easy to see how The Growth Coach stands out. Our group coaching model enables you to deliver exceptional coaching and accountability to individuals at all levels of a business and – more importantly – to businesses of all sizes. In addition, because of the “board of directors” effect of a good group coaching session, business leaders receive much of the same kinds of advice they might find in a one-on-one coaching service, a consulting contract or even those expensive two-day seminars. The Growth Coach is a remarkable opportunity for the right individual to own a thriving business coaching service. Find out if you have what it takes to join our coaching family, or apply to become the newest Growth Coach today.